As my travels in Italy are almost complete at least for this time I keep thinking about my family here and how sono una donna fortunata (I am a lucky woman.). Family is everything for an Italian or Italian-American. And it keeps growing. In the USA I have my immediate family, my father and siblings, many cousins, aunts and uncles and 2 or 3 more generations beyond that. We don't see each other often but always it is as though we were together yesterday. Can it be that way with our cugini, our cousins, in Italy? In the last month I reconnected with many of our Ricci side of the family near Benevento. A few were traveling and some were home with a new baby. 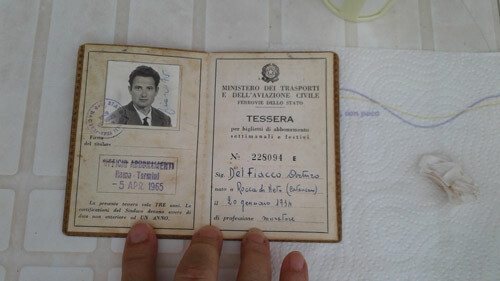 I also reconnected with Rosa Mascia (a Ricci cousin) while I visited Tellaro. Rosa and I met 41 years ago when she was young. She and her husband Michelle treated me like a long lost friend. They live in La Spezia and I will see them again next year. Mom's Abruzzo family lives mostly in Rome and near Avezzano. As always the Buzzelli family in Rome welcomes their American family with love. We laugh and eat and promise to be together again soon. Vincenzo I first met over 40 years ago. He has been our closest contact. There are Del Fiacco cousins in Rome too. Next time we will meet in Roma. This time we met in Paterno di Avezanno. We talked about Arturo, a memorable cousin who is gone. We played with the baby all night too. Lucia Buzzelli hosted us for coffee and a walk around her garden in Paterno too. She is such a sweet woman. I am so glad I know her. And no one could ever forget Nino Del Fiacco and his family in Paterno. We spent hours around the grill and the table as we laughed, ate, and drank the wonderful wine that Nino had made. Nino is the oldest living Del Fiacco family member I believe. I treasure him and his family and hope to see them all next year. I feel like una principessa (princess) when I visit these people. I hope that I can make them feel as special as I do. They are precious to me. They remind me of my family from my childhood, miei nonni and they are my future as I hope to spend more and more time with them. My Italian Family, you are such a gift to me. Grazie Mille. Ci vediamo in un prossimo anno. 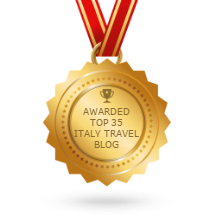 Do you want to discover how special it is to meet the family who stayed behind in Italy? I can help you. That is what I do. I hope you can feel the way I do. Let me help you.